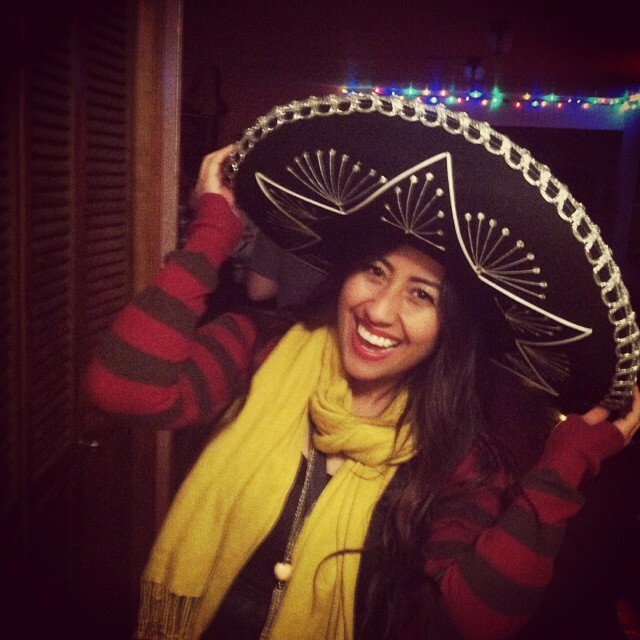 If your child takes Spanish through O'Neill Language Academy, learn about their teacher below! ​Co-Founder and director of O'Neill Language Academy. My experience teaching Spanish spans early childhood education, elementary education, middle school, high school and adults. I am also a Positive Classroom Management Coach, Teacher Trainer, and author of hundreds of second language lessons. Most recently I've developed the Teach & Learn Spanish curriculum. I graduated with a Bachelor’s Degree in Spanish, an Elementary Education Degree and a Master’s Degree in Education. My passion is teaching Spanish to children in a way that is, creative, FUN and meaningful to everyday life. I love being silly with kids and making them smile and laugh. Also important to me and our team of teachers is insuring that every child feels special and important. Feeling loved and having fun while learning Spanish is the perfect combination for children and makes them excited to learn and eager to return to class each week! My husband, Jim and I are raising our two children in a bilingual home. ​With over 10 years experience working with the Spanish language, Carly is ready to pass her language skills along to others! Her love of children and interest in how developing minds comprehend new ideas make her an ideal teacher! She loves being musical and comical and feels those aspects are just as important for a child's education as the actual curriculum. 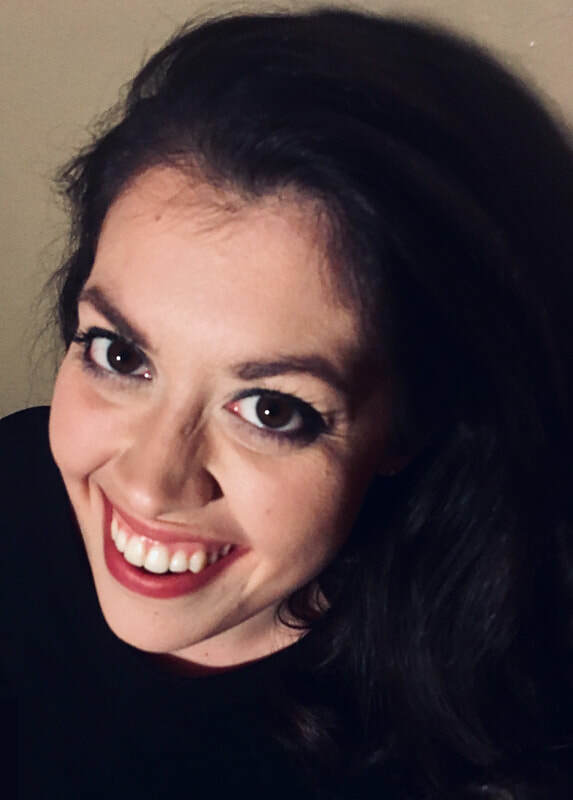 With a bachelor's degree in Modern Language (Spanish) and a varied vocational background utilizing the Spanish language, Carly is well equipped to impart her skills to your child! My name in Karen Chico, I was born and raised in Mexico and moved to USA in 2012. I enjoy so much living in this country, I have learned wonderful things and I keep growing as a person and as a professional. I graduated college in 2012 getting my bachelor’s degree in Primary Education. I chose this beautiful carrier because I love teaching, I love planning and innovating but above all that I absolutely love being around kids and the wonderful energy that they transmit. I used to work as a childcare teacher at New Horizon Academy (NHA). NHA gave the opportunity to keep growing as a teacher and I am very grateful for that. Now I am back working at NHA as a Spanish teacher. I am so excited to be back and I am so happy to be teaching children my native language and culture! ​My name is Mary McCoy and I am so excited to share the beautiful Spanish language with your curious children! I learned most of my Spanish while serving 2 years in Peace Corps Nicaragua where I was immersed in the culture and language. I have taught as a preschool Spanish immersion teacher which gave me skills to provide fun and dynamic lessons to make learning Spanish feel like play time! Currently, I am also a Certified Child life Specialist at Mayo Clinic where I work with children and families preparing them for procedures, promoting play in the hospital and assisting create positive coping techniques. Mary is excited to share her passion and excitement for learning Spanish with her students! My name is Lori Grant and I am very proud to be a Spanish teacher. ​I find joy and delight in sharing language with young learners. My educational background includes a BA in Elementary Education from St. Mary’s College and an MA in Elementary Education from St. Mary’s University. Both of my degrees had minors and focus on Spanish. I have had over 20 years of teaching experience in Yuma, AZ (4-6th grade language learning center); Winona, MN (9-12th grade high school Spanish); St. Paul Public Schools (5/6th grade at Adams Spanish Immersion) and St. Paul Academy and Summit School (K-5 Spanish). It is with curiosity, pleasure and fascination that I am now entering the world of teaching even younger students. They are a delight to work with each day and truly love learning. The most important parts of my job, as I see it, are to bring happiness to the idea of learning language and to build these little people up to be their best selves. I am grateful for the opportunity to work with O’Neill Language Academy and continue on this journey with Spanish. Outside of teaching I love to travel and enjoy taking adventures. 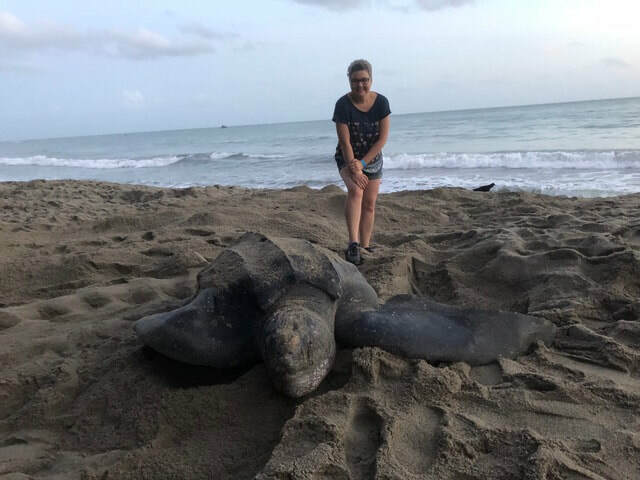 My latest trip was to Trinidad where I became completely intrigued with leatherback sea turtles. I have brought a turtle puppet into my classes named Tortuga to share a bit of this with the students. My name is Clare Blackman and I am so excited to be teaching Spanish! My passion for the spanish language started during semester in Spain as an aupair (a foreign nanny). I lived with a family with six wonderful children who spoke only Spanish! I fell in love with the people, the language, and the culture! After returning from Spain, I have lived in Mexico, in Costa Rica, and have a Bachelor's degree in Spanish and Music. I actually sang with a choir in Mexico on several occasions and wrote my Senior Thesis on Spanish Opera! I have learned and grown so much from living abroad and learning a second language and culture. I have over a decade of young childcare experience and I can’t wait to share Spanish with your tremendous children! I believe the best way to learn is through positive and JOYFUL environment! It is so wonderful to work for a teaching organization, such as O’Neill Language Academy, that shares my belief!